Arlene Leaf grew up on Fourth Avenue. 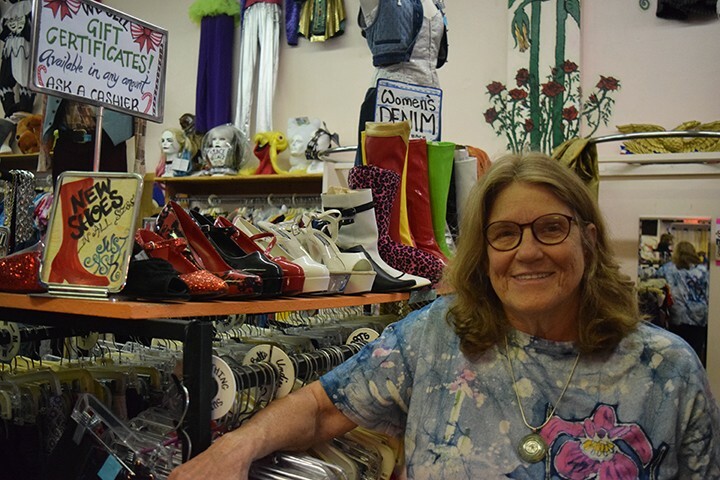 "There's a certain aura down here," says the owner of Tucson Thrift Shop. "We're very eclectic, and it has to be honored." Leaf's store is full of things you'd be hard pressed to find together in any other shop. A Hogwarts sorting hat and straw fedoras hang on hat racks. Dorothy's ruby red shoes sit next to pink, furry, leopard-print boots above corsets and sequined minis. Leaf carries a style of sunglasses she's sold in the store since 1984. Her parents were downtown merchants who moved to Tucson in 1942, and Leaf's shop has been on Fourth Avenue for 38 years. For her, it's nothing short of magic. Inside those masquerade-laiden walls, she's seen people run into comrades of old while others find that vintage item they've been searching for since their youth. 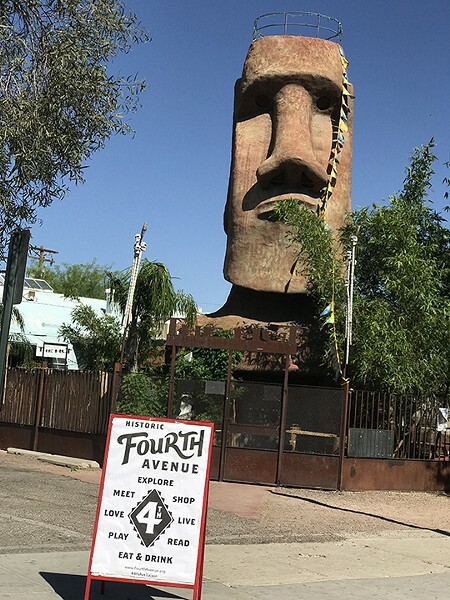 Tourists often tell Leaf they visit Tucson because of Fourth Avenue. "They tell us how much they love it," she said. "That could be lost, and it'll be just like any gentrified place." The Union on 6th will go where the Flycatcher Bar is now, on the corner of Fourth Avenue and Sixth Street. The Trinity mixed-use project will surround the Trinity Presbyterian Church. This view is down Fourth Avenue, next to the historic church. Leaf is worried about the multi-story developments soon to tower over Fourth Avenue. She's not alone in her unease. Some fear that Fourth Avenue will lose its historic charm, that parking and traffic will be a logistical nightmare with hundreds of new residents on Fourth Avenue, and that new, upscale developments will drive up rents and push out local businesses and residents. 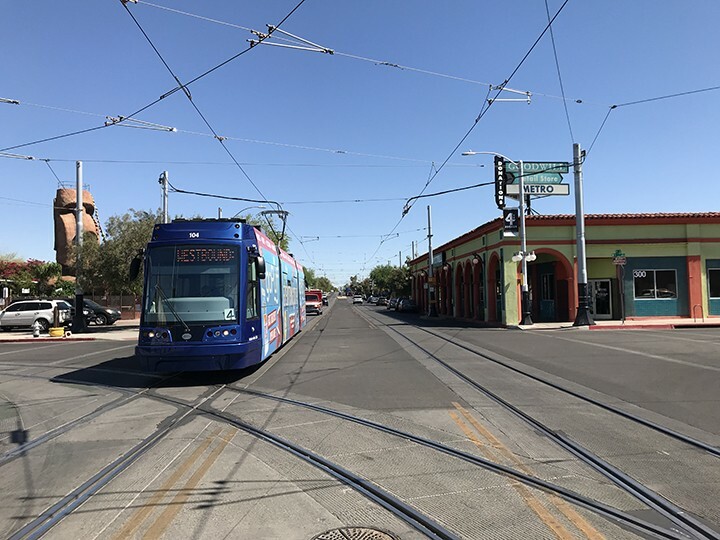 Developers are meeting with stakeholder groups—Local First Arizona, Save Fourth Avenue, neighborhood associations and the Fourth Avenue Merchants Association—to talk compromise. But many Fourth Avenue advocates have a hard time trusting developers, especially out-of-towners. When the student housing development District on 5th opened in the summer of 2012, it promptly turned into a nightmare for local residents, primarily in the West Avenue Neighborhood. Students were speeding through the neighborhood, ignoring stop signs, shouting from their balconies and racking up red-tag violations for raucous pool parties. The owner at the time, Campus Apartments Inc., made a verbal agreement to improve the situation by upping security and implementing noise and traffic mitigation measures. Chris Gans, then-president of the West University Neighborhood Association and current head of the neighborhood's development committee, said the neighbors were heartened by the agreements. And then suddenly, Campus Apartments Inc. had sold the District to EdR Collegiate Housing, out of Memphis, Tennessee. What followed were a number of either broken promises or misunderstandings, depending on your point of view. A couple of times, the neighbors and city officials thought EdR agreed to spend a substantial amount on traffic mitigation, which never happened. That was five years ago. Today's EdR leadership doesn't think they reneged on agreements. Rodney King, EdR's vice president of real estate development, says it doesn't make any sense that a city official would rely on a verbal agreement, where there's room for interpretation. 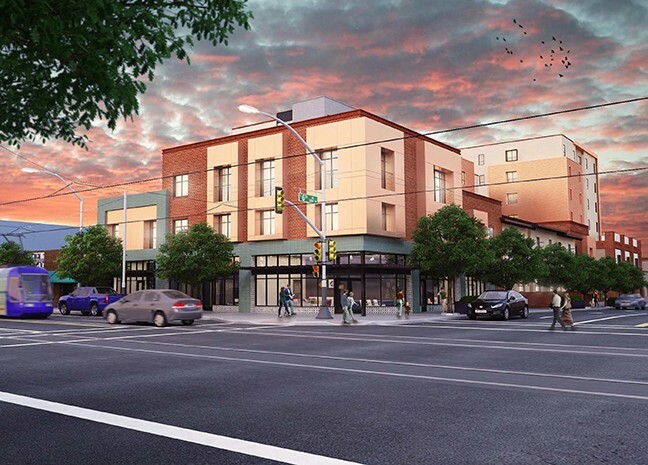 EdR's new proposed development is the Union on 6th, going where the Flycatcher bar currently is at the intersection of Fourth Avenue and Sixth Street. King said they're working with the local constituents to be good neighbors and come up with an agreement in writing. The noise from the District has substantially subsided. King says the company increased security, restricted noise around the pool and made a concerted effort to keep the "Animal House vibe under wraps." And while they primarily own student-housing developments, they've recently branched out into housing for grad-students and young professionals, which is their plan for the Union on 6th. Unlike student housing, which rents by the bed, the Union will rent by the unit: 254 market-rate studios, one-, two- and three-bedrooms. It's not that undergrads couldn't rent every room in the place; the idea is that students won't want a market-rate one-bedroom, but would rather a bedroom in a house with a bunch of people at a lower price. EdR hasn't decided how they'll advertise the apartments, but King says many of their projects have "some cross-over marketing," and that it will not be "solely focused on UA students." To take advantage of development incentives in that area, developers can't rent by the bed. But City Councilmember Steve Kozachik thinks EdR is just trying to get around the regulations. "It's a rose by any other name," he said. "You're EdR, and you do student housing. You're violating the spirit if not the letter of the law." 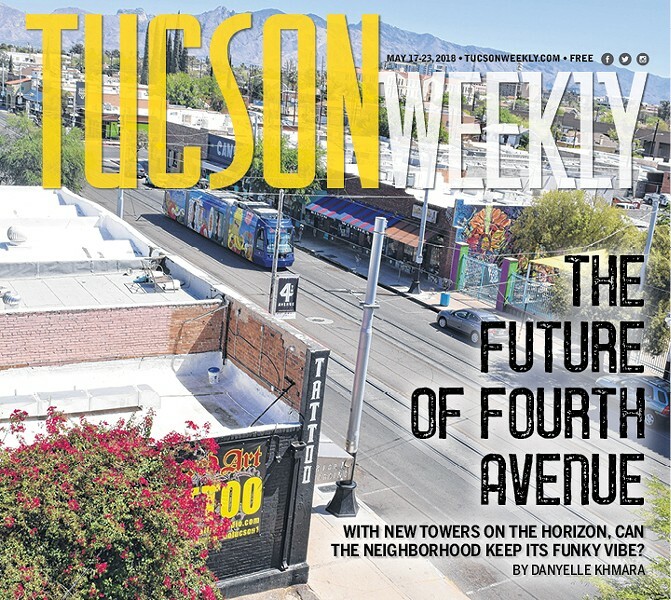 Rory Juneman, a representative for EdR who works for the local law firm Lazarus, Silvyn and Bangs, P.C., said "EdR understands the importance of Fourth Avenue to Tucson, and that local businesses are at the heart of what makes the avenue unique and special." The project has retail space as well. Since February, Juneman has been meeting with stakeholders and listening to their concerns, an effort that began after the property was in escrow. Fred Ronstadt, the executive director of the Fourth Avenue Merchants Association, said EdR has been responsive and cooperative. The FAMA Board created a task force of three Fourth Avenue business owners to work with EdR, negotiating things like renting to local businesses, providing adequate parking and designing to be compatible with Fourth Avenue. The specifics are still being worked out and will be finalized in some sort of written agreement between EdR and stakeholders. Pop Cycle co-owner DeeDee Koenen, an organizer with Save Fourth Avenue and a merchant on the taskforce created by the FAMA Board, said Save Fourth Avenue is not necessarily opposed to density; they just want responsible development. She said one new development, around the Trinity Presbyterian Church, is doing that—working with the stakeholders on design elements. She hopes EdR will do the same. Parking and traffic mitigation measures are important, but Koenen said there also needs to be walkability. The development should open onto the surrounding street rather than just the back of walls, like the District. "We think they absolutely need to have development that integrates with our streets," she said. "We don't think it's fair to drop a little fortress in the middle of our street and expect us to be excited about it." President of the West University Neighborhood Association Judy Sensibar lives two blocks from the District, which she calls a gated community. And although the partying has calmed down, reckless driving is still an issue. She said a number of her neighbors even sold their homes. Sensibar thinks about moving all the time, but after 21 years in her home, she's too invested. But she's afraid the new EdR development will only exacerbate an ongoing problem. She worries that only "kids who are bankrolled" will be able to afford the market-rate prices, not locals. And, even if some young professionals can afford it, they won't want to live with a bunch of students. "If we put more kids and more bars on Fourth Avenue, we'll just have more of the same," she said. "It'll be really great quality of life for frat boys but not a whole lot of other people. And there are a whole lot of other people who live and work and play here besides frat boys." The congregation at Trinity Presbyterian Church has shrunk over the years. Needing to generate some finances, the church on the corner of University Boulevard and Fourth Avenue realized the answer could be in the underused property they own around them. So in 2011 they put the call out to developers. Four developers gave them proposals, and their favorite was from the local companies R+R Develop and Bourn Companies. Bucky Lovejoy, the church's chairman of long-range development plans, said they were impressed by other projects the developers had done, including Ice House Lofts and Barrio Metalico. The church met with the developers twice a month for over six years to provide input for the project. The developers also met with the local neighborhood association many times over the years. Randi Dorman, who owns R+R Develop along with her husband, architect Rob Paulus, said the neighbors wanted a development that had permeability, something they could walk into and through—not unlike what some residents and merchants are asking for with the Union on Sixth. The development will include a four-story, 58-unit apartment building, south of the church on Fourth Avenue, with mostly one- and two-bedrooms and some ground-floor retail space. To the east of the church, in the Time Market parking lot, there will be a three-story office building. There will be surface parking on the site, with one space per residential unit and additional parking for the church and offices to share. Dorman said one of the reasons they decided to incorporate offices was so that the church can use the parking spaces on Sundays that the offices use during the week. Focusing on the juxtaposition of modern with historic, the plans include trees and pathways throughout the development and pocket parks open to the public and residents. And it'll be built with high-quality material. "We're trying to create areas where people can talk, sit and relax and enjoy some nature even while they're downtown," Dorman said. She and her husband view each project as a legacy, something their 13-year-old daughter will be able to appreciate for years to come. Dorman doesn't know who will rent the offices yet, but said she's in talks with a few local businesses that are interested. She is also actively looking for local businesses to approach when the retail space is ready. The offices are scheduled to begin construction this fall, to be completed mid-2019. Dorman doesn't yet know when the residential and retail building will begin. They're still looking for investors. At the south end of the Historic Fourth Avenue, where the Maloney's parking lot and bar sit, along with an underutilized warehouse space adjacent to it, developers are planning to build a mainly residential building, up to 14 stories high. Although Kozachik is opposed to the EdR development, he says this project will be appealing to various demographics, such as young professionals and seniors with an empty nest. The main difference between the two is that one is being built by a student housing company with a troubled history in Tucson and the other doesn't yet have a developer. Like the Union, the rent will be market rate. There will be commercial space on Fourth Avenue, the same height as the buildings around it. Going back from Fourth Avenue, the building will rise eight or nine stories on the east side of Herbert Avenue, and the maximum height on the west side of Herbert. The city council unanimously approved a Planned Area Development (PAD) zoning overlay for Partners on Fourth, who own the property, on April 18. In exchange for the zoning changes, the city was able to ask for stipulations which include $25,000 for traffic mitigation in the Iron Horse Neighborhood east of Fourth Avenue, at least four commercial spaces for local businesses, and 25 parking spots for paid public parking. As part of the deal, the developers get to tear down the historic (though partially dilapidated) warehouse. Although the developers are only required to make four commercial spaces small enough for local businesses — about 40 percent of the retail space — more of the space could end up being local, said Tom Warne, a local representative for Partners on Fourth. Two big concerns with this project are parking and traffic, especially in the Iron Horse and West University neighborhoods. West University Neighborhood Association asked the city to require the developers to fund $25,000 in traffic mitigation measures on Sixth Avenue between Sixth Street and Speedway. The Iron Horse Neighborhood Association had already negotiated $25,000 plus an additional $10,000 if needed for their neighborhood. But in council discussions ahead of the vote, Kozachik recommended the additional $10,000 for Iron Horse be reallocated to Sixth Avenue. Kozachik says the city will create a "street diet" on Sixth Avenue, with a protected bike lane, parallel parking and no turning lane, which he said will probably be primarily funded with a combination of Highway User Revenue Funds and impact fees from the development. The city manager's office did not respond to a request to confirm if, when or how the city would do this. Prior to council approving the PAD, the Iron Horse Neighborhood Association worked closely with Warne, who has a long history of working with the community on local development projects, to find compromises on the project. Neighborhood association chairperson Jennie Mullins said they recognize that while they can't stop the development, they can mitigate the damage. "We leveraged our influence and got a whole bunch of restrictions," she said. "I'm going to do everything I can to protect our quality of life here and preserve our little neck of the woods." 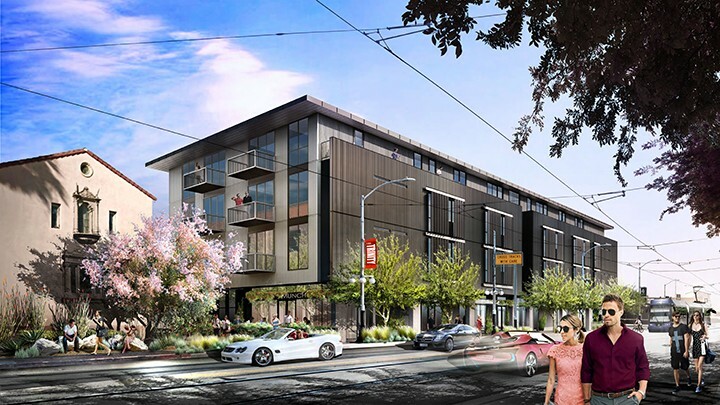 The development will have structured parking, with one space per apartment, rented separately in the hope it will incentivize renters to ditch their cars and perhaps take advantage of the modern streetcar line. The car-sharing service Zipcar will also be onsite. The owners figure they will have an additional 70 to 100 unrented parking spaces, based on national transit studies on urban development, which will also be for paid public parking. However, Warne said it's still unknown whether or when that many spots will actually be available. Warne commissioned a traffic study, which found that getting rid of Maloney's as a destination will actually cut back on traffic, despite the added residents. He said the main traffic increase to the area will be on the weekday mornings, and once Downtown Links—the four-lane road that will go from Barraza-Aviation Parkway to Interstate 10, bypassing Congress Street and Broadway—is built, people will be able to turn west onto Eighth Street and hop onto Links in a block-and-a-half. Kozachik is skeptical that the closure of one bar will mean that there will be less need for parking, but he says city officials know the area needs more parking and are considering a couple places for short and long-term fixes. This project doesn't have a developer yet, but the PAD is set and whoever does build there will be required to adhere to it. As far as continued negotiation with the community, Warne said he can't imagine that the new developer or owner wouldn't want to work closely with stakeholders. Mullins said it would behoove future developers to find a representative like Warne, who understands Tucson culture and knows the stakeholders. And she said if the city drafted a code of engagement for developers, the city and the community, it sure wouldn't hurt. Mullins can see a mix of historic and contemporary urban design working in Tucson, but she says the community needs to think about what they want to preserve to keep the "funk factor." "We don't want to lose it," she said. "It really is priceless." To better understand who's to blame (if that's your cup of tea) for all these developments, we turn to an expert on Tucson development. Corky Poster, an architect, planner and principal with Poster Frost Mirto, Inc. is a design reviewer for the Union on 6th. Poster has a long history with Tucson's growth and preservation. He wrote Fourth Avenue's nomination to the National Register of Historic Places, which was approved about four months ago. But being on that national register is purely honorific; it provides no legal protection to Fourth Avenue or anything on it. In fact, Fourth Avenue is currently zoned for six stories. Poster explains that any developer can, by right, build six-story buildings right on Fourth Avenue, and the city has no legal recourse to stop them. The owners of the Food Conspiracy or Antigone's could tear down their buildings and put in six stories, "right there, right now without anyone's permission," Poster says—other than getting building permits, which the city has no right to deny if the developer is in compliance with the zoning. Maybe you're thinking: "Come on, Tucson City Council, change the zoning!" Well, they can't. And you can blame the Arizona voters for that. In 2006, voters passed Prop 207, aka the "Private Property Rights Protection Act." Because of this, no jurisdiction can do anything to downzone property or otherwise restrict its current use without compensating the owner. And Tucson tried. In 2008, a property investor named Michael Goodman was buying up and tearing down older homes near the University of Arizona to build high-density housing, aka mini-dorms. In response, the city changed demolition requirements to make it harder to tear down historic buildings. Goodman, who owned 23 historic buildings he suddenly couldn't tear down, sued the city for $12.5 million, citing Prop 207. Shortly after, the city repealed the new demolition requirements. So the city can't downzone to stop a developer from building to the maximum capacity of the current zoning, and they can't compel an owner to put in local businesses if the developer can get more money from a chain. What the city can do is offer developers incentives not to build six stories on Fourth Avenue. That's where the Infill Incentive District, or IID, comes in—also authored by Poster. In much of downtown, it offers developers breaks on parking, loading and landscaping requirements, as well as height increases set back 50 feet from Fourth Avenue. In exchange, developers have to meet certain design parameters set by the city, which includes building no higher than two stories on Fourth, except on street corners, which can be three. Also, no tearing down historic structures. The IID will expire in January 2019. It can be renewed, ended or rewritten. It can be changed to make stricter developmental restrictions. The problem is, it has to balance preserving Fourth Avenue and other historic districts while still being attractive enough that developers will opt into using it rather than the current zoning. The way Poster sees it, vacant land and giant parking lots in the center of the city are signs of a bad economy. And putting in good-quality development is not a bad thing. Joe Audino with Save Fourth Avenue talks at a Community Benefits Forum. On the panel were Exo Roast Co. owner Amy Smith, Iron Horse Neighborhood Association co-chair Erika Mitnik, West University Neighborhood Association Boardmember Lisette DeMars, Local First Southern Arizona Director Michael Peel, Silver Sea Jewelry owner Lizzie Mead, Fourth Avenue Merchants Association Executive Director Fred Ronstadt, and Marion Chubon with Represent Me AZ moderated. 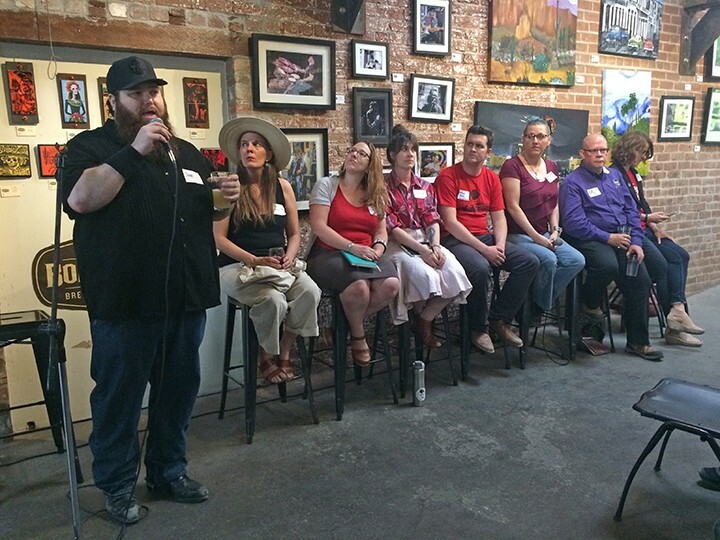 A recent evening at Borderlands Brewery, people sipped on their locally crafted brew and shouted out the things they love about Tucson: localism, arts, culture, music, murals, diversity, affordability—and the train, which blew its horn as it rumbled by—just a few of the things people want to preserve about the dusty city they love. Concerned residents may not be able to stop developments, but they can leverage their collective influence with elected officials and developers to have a say in how it happens. A Community Benefits Agreement is one way to do that. A CBA is a contract between private parties such as a community group and a developer that outlines certain conditions and agreements the development must follow. This contract could then be attached to incentives or a PAD so that it stays with the development even if it changes owners. Although the city can't compel a development to sign a CBA, they can withhold incentives until they do. Also, it would be good for a developer's standing with the community, as a community player, to sign one. It would mean a developer could go to council for incentives or a rezoning with the full backing of the community. At the Borderlands CBA forum, local business owners and neighborhood associations talked about what they'd like to see in a CBA, including requirements that developers provide retail space small enough to work for local businesses; funding for parking and traffic mitigation; affordable housing; compatible architecture; quality construction materials; walkability and integration into the neighborhood; and investing in neighborhood beautification—shade, bike racks, adequate lighting and sidewalk upkeep. Although a development using the IID zoning doesn't need approval from the city council, the community can still pressure developers to be good neighbors, said Shannon Riggs, a co-owner of Pop Cycle and organizer with Save Fourth Avenue. "They do not want a project that is unpopular," she said. "In addition, how we handle this first interaction with developers will create a template for the process going forward. There haven't been any CBA's in Arizona up until now. So Tucson can be a pioneer, an example for responsible development." Placemaking strengthens the local economy and engages the community, said Michael Peel, the director of Local First Arizona. Up to four times more dollars stay in the community when they're spent at locally owned businesses, which in turn creates more jobs. For the people gathered here, it's not about stopping development; it's about smart growth. And it's not just about Fourth Avenue, it's about the entire community. And getting the city council on board with a CBA, making it part of the process a developer has to go through in order to get incentives, would set a precedent going forward. "It's about finding ways to have wins for both the economic development side ... and also for the local businesses that make up the identity of Fourth Avenue," Peel said. "To have discussions about the many options that other cities have pursued, and being realistic within the scope of Arizona law of what we can achieve." Peel talked to the Tucson City Council about CBAs and other possibilities to protect Tucson's local culture. One way is through the city's new adaptive reuse policy, adopted in December, to give small businesses and developers tools and incentives, such as relaxed parking requirements and permit fee waivers, to utilize older buildings rather than tear them down. The city is currently looking into ways to implement the program, and Local First may help in the endeavor. The Partners on Fourth Development and Trinity have already passed the point where they would sign a CBA, though there were elements of such negotiation in both projects. But there's still time for EdR to sign a CBA before the wrecking ball comes for Flycatcher Bar. Peel suggested that people can make their voices heard on this issue by asking the mayor and council to support a CBA, writing letters to the editor of local papers and joining the Save Fourth Avenue Facebook group. "Ultimately, the developer and the development is integrated into the identity of the community," he said. "This is their way to show their support of Fourth Avenue in very meaningful ways. It's a choice. It's voluntary. But long term, it can help both that development and certainly the locally owned and independent businesses."